Montessori Preschool serves children 6 weeks to 6 years. We are open from 6:30 AM – 6:30 PM, and we have three locations to serve Houston families. Our schools have been named one of the top three preschools in Houston and one of the best in Texas. Please schedule an appointment to visit one of our campuses and meet us. We love to learn how our school aligns with a prospective family’s goals. This is an ideal time to visit our classrooms and understand the Montessori method in action. Check out our FAQs and explore our program options. 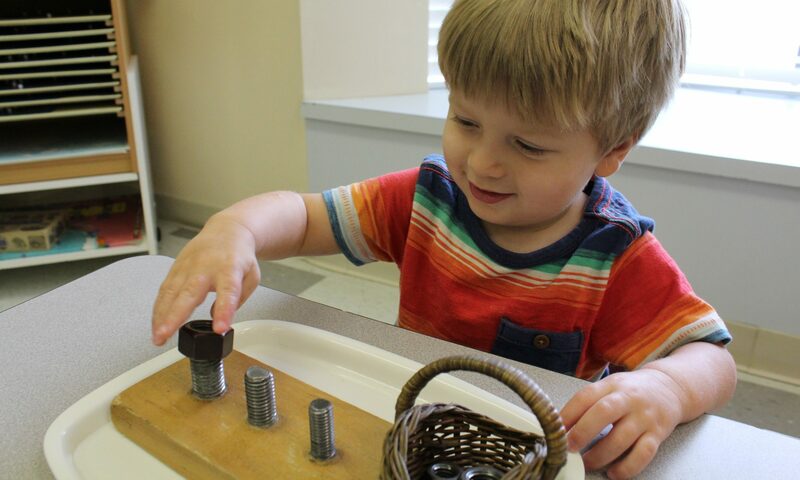 If you believe Montessori Preschool is the right fit, we invite you to submit an application. We’ll be in touch as soon as possible. If admitted, your child will be invited to observe their classroom and meet their Montessori Guide. This is a critical step for your child to begin the transition process and become familiar with their Montessori environment. Tuition is competitive with the market and based on program hours. The school is owned-and-operated by an Association Montessori Internationale (AMI) Montessori teacher. Teachers are in leadership roles, so learning (not profit) is always first. Siblings of enrolled students and alumni have priority admission. Class sizes are small to maximize learning and quality socialization. If there are more applicants than spaces, our schools operate on a waiting list. For students applying for Kindergarten, children must be age 5 by September 1. For families seeking one year of rigorous academic preparation for Kindergarten (a Bridge program), children are accepted on a selective basis. Criteria for admission include parent engagement and commitment, familiarity with Montessori education, a child’s current academic progress, and socio-emotional competencies. Upon completing a qualitative assessment and if accepted, children must begin school by August 1. Montessori Preschool recommends children start a Montessori program by age 3. Please visit our FAQs to learn more about school expectations, potty training, and academic preparation.